November | 2015 | Om nom nom! So this isn’t really a recipe, but it was a pretty cute dinner project that was a hit with the kids. You could use homemade pizza crust and sauce, and if it hadn’t been a weeknight dinner, I probably would have (and you could get really original with it that way, too). But it was still pretty good with store bought both. You will need a springform pan for this. This might also be a fun appetizer at a small party. 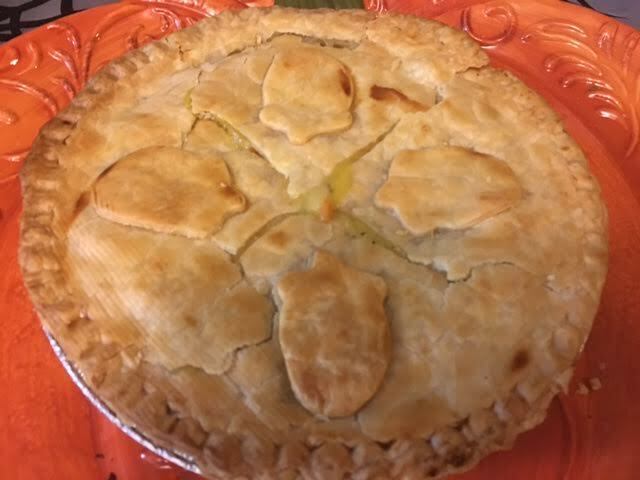 This was a great vegetarian option for pot pie, and pretty easy too. 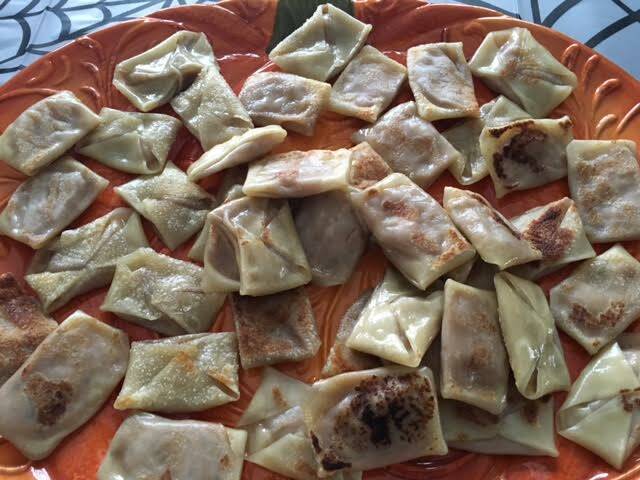 It was not the healthiest thing ever made (cough, butter, cough), but as most Ina recipes go, it was also very good. And possibly a little over the top – note I did not use the Pernod (I did throw in a couple of star anise while it was simmering, though), and it turned out fine. 😉 Definite make again. Use with your favorite pastry crust, or store bought – both would be fine. 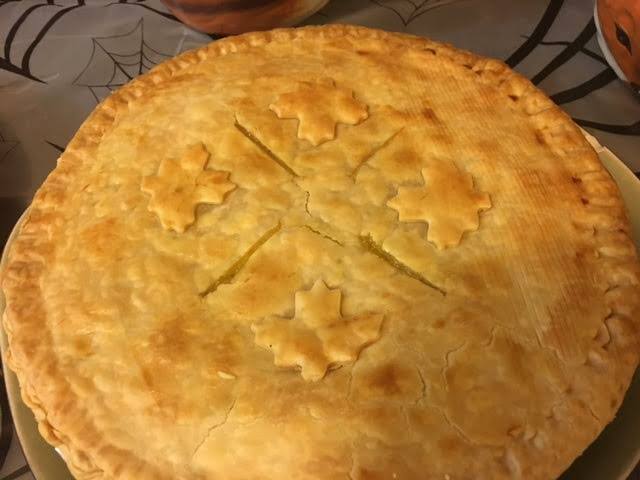 This should make two pies. These things were like crack, seriously. Delicious, and although (very, very) time consuming, they were easy. They went like crazy at our Halloween party, and I will definitely be making them again for future parties. This recipe came from Food & Wine. 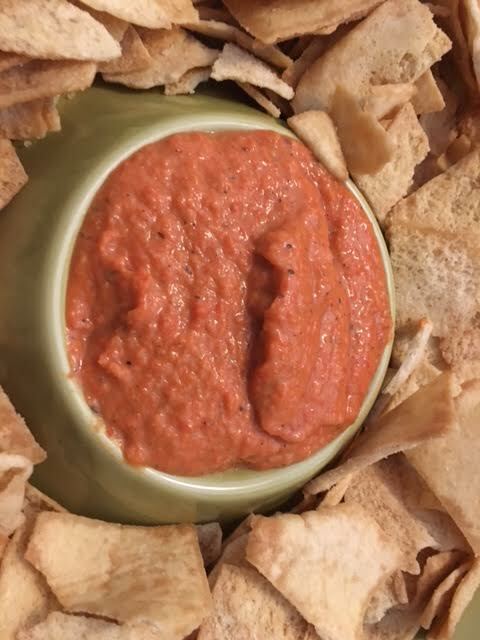 This is a simple, healthy dip that is great for a party or just a snack. I used jarred peppers for this, but freshly roasted peppers would be extra awesome. We served this with pita chips. This is from Cooking Light. So this cute idea was all over Pinterest when I went looking for Halloween party ideas. This may actually be my favorite thing we made for the party! Delicious and easy. I liked it so much that I made it for Opening Hunt this weekend! 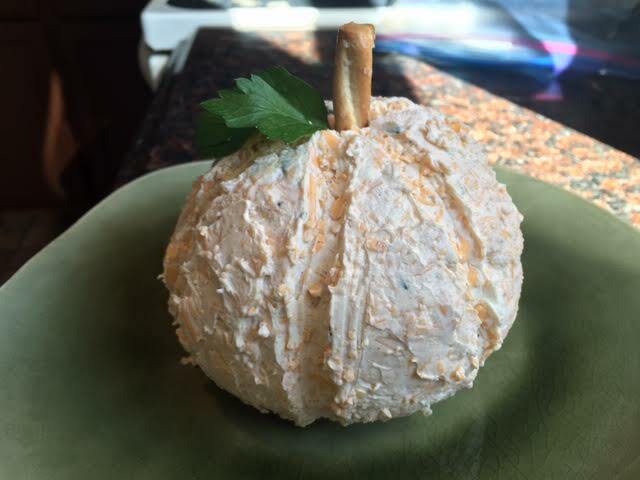 I found this on LOLFoodie, but you could definitely do this with any cheeseball you liked (or even make pimento cheese into a ball).